Dr. Fu-Tong Liu is internationally known as a pioneer and leading investigator in the studies of the galectin family of animal lectins, which play important roles in many physiological and pathological processes. While Dr. Liu was department chair, the department grew rapidly in size and prestige, under his leadership. His current research is focused on the role of galectins in allergic inflammation, innate immunity, cancer progression, and wound healing. His research group also studies molecular and cellular mechanisms of allergic skin inflammation. Dr. Liu is interested in medical dermatology and has a particular interest in eczema, mast cell-mediated diseases (including urticaria and mastocytosis), and immunobullous disease. Dr. Liu received his B.S. degree from National Taiwan University, and his Ph.D. degree from University of Chicago. He received his M.D. degree from University of Miami School of Medicine and completed his residency at University of California-San Diego. Dr. Liu is certified by the American Board of Dermatology. In 2005, UC Davis recognized Dr. Liu with the Joan Oettinger Memorial Award (Cancer and Pulmonary Research). Dr. Liu was awarded the Lu Yau-Chin Memorial Lectureship by the Taiwanese Dermatology Society in 2006. 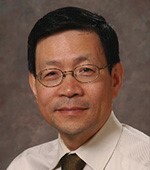 Among many of his professional memberships and appointments, Dr. Liu has served as Academician at Taiwan’s Academia Sinica, a Reviewer Board member of the Journal of Allergy and Clinical Immunology, an Editorial Board member of the Clinical Reviews in Allergy and Immunology, Selection Editor of the Journal of Dermatologic Science, a Medical Advisory Committee member of the American Skin Association, and a member of the Association of American Physicians. Dr. Liu has published a total of over 298 original research articles and reviews.